Pooling is the provision of reusable pallets, crates and containers for shared use by customers throughout the supply chain. 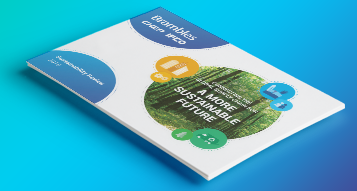 Brambles provides sustainable consumption solutions for customers by maintaining ownership and responsibility for our pallets, RPCs (reusable plastic crates) and containers throughout their life cycle. We are committed to continuously improving the circular pooling model using life cycle assessment (LCA). The pooling model inherently values the natural capital within the assets and successfully combines the principles of the sharing business model with a circular business model. • Year on year improvements in reducing carbon emissions and waste in customer supply chains. • 100% of high-risk subcontractors evaluated on Sustainability and Ethical business practices. Brambles recognises the importance of our circular business model and the value of the natural capital contained in our products to a sustainable economy. Our commitment to providing sustainable consumption solutions for customers by continuously improving the circular pooling model enhances the environmental benefits delivered by our core business. - Why are sustainable consumption solutions important? The Global Footprint Network reports that societies’ ecological footprint1 would require 1.6 planets to meet humanity’s demands on nature.2 It is forecast that by 2050 global resource use will have tripled;3 however, some resources are expected to last no longer than 20 years. This trend is driven by the take, make and dispose linear business model which overlooks the true value of stocks of natural capital that provide the raw materials for the production and consumption economy. Addressing unsustainable production and consumption patterns requires a rapid move from the linear model to a circular and sharing model. In a circular economy, goods are designed to be long lasting, easy to repair and reuse, easy to disassemble and easy to remake into items that are as good as, if not better than, their original products. 3 EY: Are you ready for the circular economy? The necessity of an integrated approach. Brambles Industries Ltd purchased the Australian Government’s pallet assets in 1958 and established the Commonwealth Equipment Handling Pool (CHEP). Brambles initiated an innovative circular business model of sharing reusable assets that demonstrates best practice, including the use of biodegradable and recyclable materials, recovering and reusing materials, extending lifespan of products, making products available in a shared pool and the continued ownership of products by our business. This model continues today under the CHEP and IFCO brands helping customers transport goods through their supply chains more efficiently, sustainably and safely. Brambles provides standardised reusable pallets, crates and containers to customers from its service centres, as and when customers require. Customers then use that equipment to transport goods through their supply chains, and – depending on the specific pooling model in operation – either arrange for its return to Brambles or transfer it to another participant in the network for that participant's use prior to its return to Brambles. - How is the Brambles pooling model sustainable? Brambles’ pooling model eliminates the need for customers to purchase and manage their own equipment such as one way platforms. This reduces demands for financial and on natural capital and simplifies customers' operations, while reducing waste impacts in their supply chains. Brambles retains full responsibility of its equipment through its entire life cycle, inspecting, cleaning and repairing as required to maintain appropriate quality levels. Ernst and Young’s report Are you ready for the Circular Economy? 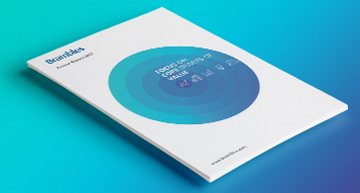 The necessity of an integrated approach identifies five circular business models for organisations to adopt to prepare for resource constraints, higher consumer expectations and greater supply chain transparency. Brambles’ circular business model includes all five best practice circular business models. Circular input models: Circular input models are designed for the creation of materials and resources suited to the circular economy such as biodegradable and recyclable materials. Brambles has a zero timber and plastic waste to landfill commitment. Pallets are biodegradable and plastic and steel recoverable for perpetual recycling. Brambles also has an active program of recovering materials from pallets, RPCs and containers for reuse or recycling. Waste value models: Innovative recycling and upcycling play a crucial role in this model. The embedded value of waste is recovered at the end of a product life cycle to feed into another cycle. Brambles has an active program of recovering materials from pallets, RPCs and containers for reuse in product repair, recycling or another industrial process. Lifespan Models: The lifespan of products is extended to maintain or improve the value of the product that would otherwise be lost. It is achieved by repairing, upgrading, remanufacturing or remarketing the product. Brambles’ service centres recover, grade, repair and redeploy all returnable assets to ensure material life is maximised and product quality is maintained. Platform models: Products and services can be used more efficiently when goods that are (temporarily) not being used are made available to others. This can be done by offering platforms for collaboration among product users, either individuals or organisations. The Brambles pool of products underpins a sharing business model. This is achieved by constantly recovering and redeploying pallets, RPCs and containers to fulfil new demand. This maximises the utility of the asset and reduces the need to constantly produce replacement products. Product as a service model: Instead of selling its product, the business continues to own it. The product is made available to one or more users, either through a lease contract or a rental fee. With this model, product longevity, reusability and sharing become more attractive to the business. Brambles maintains ownership and responsibility for the product over its entire lifecycle. This maximises product usability amongst multiple customers as well as ensuring product materials are continually recovered for reuse, repair or recycling. - How does the pooling model link to other parts of Brambles business model? Brambles’ pooling model efficiently delivers customers’ products to market while eliminating their need to purchase and dispose of one-way pallets or cardboard boxes. This improves sustainability of their supply chains. Customers also benefit from the scale efficiencies generated by Brambles’ network and systems, as well as our asset management knowledge and development of additional value adding services, products and solutions. Our pooling model also eliminates the direct financial and indirect reputational risks of one-way platforms including the higher environmental impacts associated with single use packaging over its life time. We expect the concerns to increase as consumers’ expectations rise and government regulation advances. The Brambles business model represents global best practice for sustainable production and consumption as recognised by the Ellen Macarthur Foundation (EMF). EMF rated one of Brambles' European pallets as having a ‘Circular Economy Index’ of 0.87 where a score of 1 is perfectly circular, putting Brambles in the exclusive Circular Economy 100 (CE100). We reduced transportation distances around the world by over 62 million kilometres by collaborating with over 250 customers. This is the equivalent of more than 53,000 tonnes of CO2 emissions. 10,082 tonnes of wood and 18,684 tonnes of plastic were reclaimed and reused by CHEP and IFCO through the pooling model. Customers use of pooled pallets saved at least 1.7 million trees and at least 4,100 megalitres of water. Customers sharing and reusing our products instead of alternatives (like cardboard boxes) meant 2.6m tonnes of CO2 and 1.4m tonnes of waste was eliminated from their supply chains. Each year, Brambles listens to feedback from our stakeholders to determine the sustainability issues that are material to them. Environmental impacts and benefits (particularly in customers’ supply chains) and product innovation were ranked as two of our material sustainability topics in FY15. Brambles is committed to collaborating with customers and suppliers to deliver mutually beneficial sustainability outcomes. Year on year reductions in packaging waste, food waste and carbon emissions intensity per kilometre through transport collaboration. With multiple participants in global supply chains, responsibility for impacts on the environment can be obscured. Hence, sustainable development should be fostered through collaborative partnerships and because of our unique position, Brambles has an excellent opportunity to deliver benefits in the supply chain. We partner with both customers and suppliers to build better supply chains through collaborative efforts. In this way, we contribute to sustainable development. Brambles’ has improved productivity and provided direct financial savings, as well as environmental benefits, for our customers from collaboration projects. Collaboration projects with customers and suppliers deliver sustainability benefits throughout the value chain. Our strategy is to help customers to understand their supply chains and minimise environmental footprints using our unique Environmental Impact Assessment (EIA) and Value Stream Mapping (VSM) programs. As well, Brambles ensures best practice collaboration is transferred between our global regions to maximise the benefits of the innovation cycle. Sharing experiences between regional transport collaboration programs resulted in significant carbon emission reductions for our customers in FY15. By sharing our network knowledge, Brambles creates opportunities to optimise our own and our customers’ supply chains. Collaboration with customers and suppliers throughout the supply chain reduces both costs and environmental impacts for all participants, while fostering constructive partnerships for progress towards the United Nations Sustainability Development Goals (SDGs). Outcomes include better product solutions, eliminating waste, optimising freight fleets by filling empty miles, and reducing the carbon intensity of complex logistics networks. For example, fleet optimisation helps customers to increase productivity, earn revenue and reduce empty miles by hauling CHEP’s backhaul freight when rebalancing our pallet pool. This transport journey would otherwise be empty. In FY18, Brambles reduced transportation around the world by over 62 million kilometres by collaborating with over 250 customers. This is the equivalent of more than 53,000 tonnes of CO2 emissions. Each year, Brambles listens to feedback from our stakeholders to determine the sustainability topics that are material to them. Environmental impacts and benefits were ranked as one of our material sustainability topics in FY15, particularly in terms of our impact and benefit in customers’ supply chains. Brambles will create a better workplace through zero harm, increased diversity and inclusion, good corporate governance and by continuing to engage our workforce. By 2020 Brambles aims to achieve a 25% reduction in the Brambles Injury Frequency Rate (BIFR) compared to 2015 levels. By 2020 Brambles aims to ensure that 30% of leadership positions are held by women including 30% at board level and 30% at management level. By 2020 Brambles aims to achieve global best practice employee engagement, as measured by the Brambles Employee Survey (BES). Brambles is committed to providing a positive working environment, ongoing professional development and work-life balance. We actively invest in attracting, developing and retaining talented people. Our core values underpin our culture and the way we interact with our stakeholders and operate both as individuals and as teams. We believe a highly engaged workforce will continue to drive our success and help our people reach their full potential. - Why is a better workplace important? Human capital is Brambles’ most important asset and includes the skills, stock of knowledge and creativity of our employees. Brambles believes that creating an engaging, safe, tolerant and diverse work environment brings out the best in our people, helps them to reach their potential and is critical to the success of the organisation. 1 Snapshot of headcount at 31 May 2015. Brambles believes that a safe, diverse and engaged workforce directly correlates with customer satisfaction and financial results. The strategy to achieve continued high performance from our employees includes the Zero Harm Charter and relevant safety programs, education on the business benefits of greater diversity and inclusion, as well as extensive learning and development and talent management programs. Our continued investment in human capital delivered a 90% retention rate in our management centre programs since 2012 and continuous improvement in employee engagement results since 2010. 72% of employees were ‘fully engaged’ in FY17 (when the last survey was conducted), compared to 64% in FY10. The Brambles Injury Frequency Rate (BIFR) improved to 4.7 in FY18 from 13.3 in FY15. 28% of management roles are held by women. 12,667 training and development days were held in FY18. In FY15, Brambles conducted a review of material sustainability risks and issues and identified safety and people capability as material sustainability risks. Brambles’ people capability is linked to its ability to meet its business objectives. Safety and learning and development have been ranked as material sustainability issues since we started measuring and reporting the outcomes of our stakeholder feedback.